The Best Flooring Choices for High Traffic Areas In any interior decorating project, choosing the right flooring can be among the most difficult decisions. This is true for both homeowners and business owners. Choosing the right flooring for heavy traffic areas can be particularly difficult. The flooring used in these areas must be able to withstand all of the "abuse" it will suffer due to the many feet that will walk across it over the course of its lifetime. It should also be easy to clean. After all, heavier foot traffic means a greater likelihood that the flooring will suffer spills, stains, and more. Of course, there are many different flooring options, including carpet, laminate, tile, wood, and so on. Within each of the major categories of flooring, there are some choices that are quite suitable for high traffic areas. Nevertheless, some flooring materials remain better than others in areas where people and animals will move repeatedly across the floor every day. The best flooring for high traffic areas is probably tile. Ceramic tile, stone tile, and other tiling materials are incredibly durable and hold up well to high foot traffic. Unless it is made of a highly porous material, tile is also easy to clean with a damp mop. It should be noted, however, that not every type of tile is good for an area that many people walk across. Glossy tiles made of material such as marble can be quite slick when they get wet, increasing the odds that pedestrians will slip and fall. Tile grout may also stain easily if it is not sealed. A darker grout is probably the best flooring for high traffic areas because it will not show spills and stains as easily. After tile, wood is a good flooring choice for high traffic areas. In addition to adding warmth to a room or building, wood flooring is durable, especially when it is made of a hardwood such as oak or maple. Real wood floors, on the other hand, are very expensive. Furthermore, they can get scratched and scuffed very easily. Therefore, it is probably not a good idea to install them in high traffic areas where heavy items such as furniture are regularly moved across the floor. Laminate flooring is a wood alternative that, while less expensive than wood, retains many of wood's benefits. It can also add warmth to a room because it is designed to look like real wood. Laminate can also be quite durable, especially if it is cared for properly. However, this layered flooring material is also susceptible to water damage. Spills must be cleared immediately; otherwise, liquid can soak through the layers of the flooring material and ruin it. Vinyl flooring can be a good choice for high traffic areas because it is inexpensive and can mimic the look of real ceramic or stone tiles. Usually, it is made of a durable plastic or a plastic composite. However, like various laminates, vinyl can be damaged by water over time. It will usually take longer for such flooring to suffer water penetration and damage, but water that sits on vinyl for lengthy periods of time can warp the vinyl and cause it to pull up from the floor. 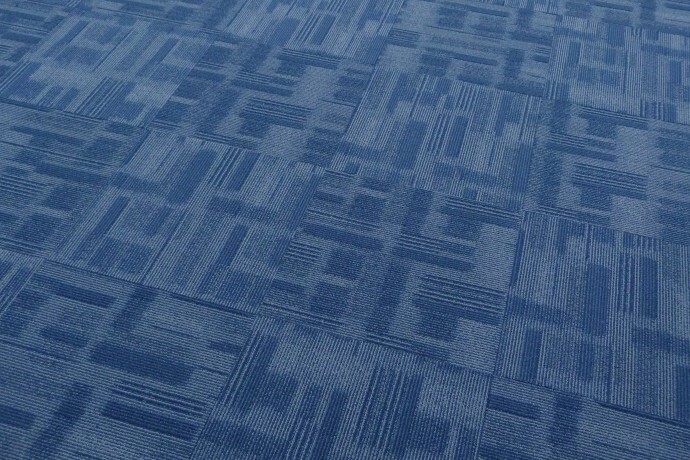 One final flooring material that many people consider for high traffic areas is carpet. This flooring is perhaps the least attractive option for high traffic areas because it soils easily. Buying carpets that are stain resistant can help alleviate this problem, but no fiber is completely stain proof. Those who insist on this flooring material for a high traffic area should choose a carpet rated with a performance level of 4 or 5 in order to guarantee that it will hold up well over time.